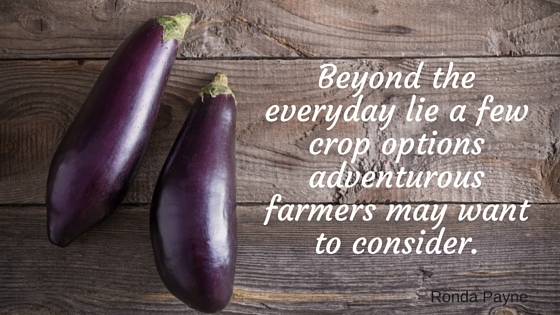 Beyond the everyday, lie a few crop options adventurous farmers may want to consider. One of the great joys of farming is the ability to explore options and grow new things. A dairy farmer may have a patch of land she’s always wanted to plant something unusual on. A berry grower may have decided to reduce his acreage in berries in favour of something different and growing in popularity. A potato farmer might be considering a way to use the land in a less traditional way. For those feeling like it’s time to explore something new, take a look at eggplant and truffles as possible crops. The mild Lower Mainland climate allows BC farmers to explore one, or both, of these choices. Different types of eggplant have been making their way into grocery carts in increasing numbers as the ethnic makeup of Canadian residents has shifted through immigration. With more residents coming from South East Asia, tastes and food choices are blending. Immigrants are expecting familiar foods in their Canadian grocery stores says Dr. Viliam Zvalo, research scientist in vegetable production systems with Vineland Research and Innovation Centre. In 2007 he began studying crops that were becoming more mainstream to identify opportunities for farmers. He discovered that Canada imports about 24 million kilograms of eggplant per year and while the Stats Canada category isn’t broken down by type of eggplant, his research took a deeper look. The most commonly recognized eggplant, the Italian, has seen its peak and decline in sales according to Dr. Zvalo, but the Chinese long and Indian round eggplants are the most quickly growing categories. “The Chinese eggplant is about 85 to 90 per cent of the import market,” he says. The Chinese long is about a foot long, and bright purple. It doesn’t have the bulbous end commonly seen with the Italian variety and is somewhat similar to a long English cucumber in terms of shape and size. 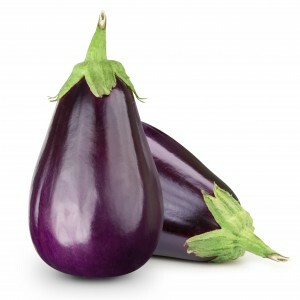 The Indian eggplant is very firm, dark purple and is about the size of an egg. Zvalo sees the potential of marketing this as a baby eggplant, due to its size, to attract a wider audience. Within both types of eggplant are several varieties. Zvalo and his team explored six varieties of Chinese long in the field, eight different varieties in the greenhouse and two types of Indian round in both the field and the greenhouse. In the greenhouse, eggplant varieties were grafted onto Maxifort tomato plant stock. There was a 22 to 95 per cent increase in yield for the Chinese long which also had more vigor and better colour. “There is no question in my mind that the grafting was the way to go with the Chinese long eggplant in the greenhouse,” says Zvalo. This year, the Vineland Research team took the four best performing and retailer preferred varieties of Chinese long and grafted them onto six different root stocks to find the best combination of variety graft stem. “We will be growing these over the whole growing cycle until December,” he adds. Fusarium pathogens were present in the research farm fields prior to planting, so researchers fumigated portions of the planting area and had much higher yield in fumigated areas. However, due to environmental issues with soil fumigation, the current tests will try grafting in the field. In un-fumigated areas, the pathogens cut yield potential in half or worse. 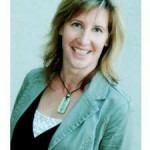 “Grafting would improve the health of the plant and fight the pathogens,” says Zvalo. Unfortunately, field grafting delayed flowering and subsequently harvest, however, yield was higher in the grafted varieties than the non-grafted. Zvalo notes a trial grower in Oliver had a “phenomenal crop” and another grower in the interior is going to supply Loblaws. Those interested are invited to contact Zvalo for insights and information at viliam.zvalo@vinelandresearch.com or by phone at 905-562-0320, extension 808. Known as a delicacy found in Europe, it may seem odd to hear about BC truffles, but it turns out the Lower Mainland climate is ideal for the subterranean mushrooms. John Neudorf started his three-acre truffle farm at the whimsical suggestion of his son. Now 10 years into the project, Neudorf is starting to see a few truffles which is about the point experts expect the rarities to start forming. The orange ribbons on Neudorf’s trees mark where this year’s small harvest was found. “It’s been interesting, but it’s been a ton of work as well,” he says. The oak tree is perhaps the most commonly known host for truffles, but hazelnut trees are an option as well. Unfortunately, with the Eastern Filbert Blight (EFB), the 350 hazelnut trees on Neudorf’s site are dying (most have been cut down) and it will take time for the 150 oak tree roots to gain the ground. The positive note is that until the hazelnut stumps and new sprouts are completely dead, their roots are still viable for the truffles. He bought the 10-acre farm from his parents who were strawberry and raspberry growers, then went into laying hens. Truffle farming is a significant change from his traditional farming of past years, especially when trying to encourage the preferred Périgord truffle also known as a French black truffle. Trees are started from acorns or hazelnuts, put in tree tubes with potting soil inoculated with truffle spores, and then grown for a year before being planted in the field. Neudorf purchased his potting soil from Dr. Charles Lefevre in Oregon. “Charles gets truffles from Europe, and then goes through his secret process of getting truffles mixed into the soil,” Neudorf explains. But even experts come up against challenges. There is such a thing as contamination of truffle species in that two truffles—the truffle Brumale and the truffle Indicum—look identical to the French black but apparently don’t taste as good. Thus, they aren’t nearly as valuable of a commodity. Neudorf’s harvest was a few Bianchetto truffles—not the target variety— and a sign of another truffle contamination, but still a good sign. “Bianchetto and Périgord will coexist on the same tree, the other two varieties [Brumale and Indicum] will take over your entire orchard,” he says. 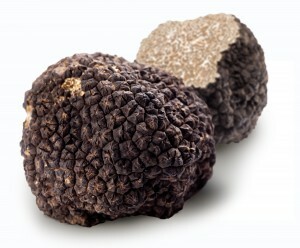 In terms of value, Bianchetto truffles are worth about $500 a kilo, less than half of what Neudorf says Périgords are valued at. The work involved once the soil is prepared and trees are planted comes down to managing the soil to keep the pH up and pruning the trees. A truffle producer from Australia visited Neudorf and noted they also cultivate the soil under the trees. Every type of farming comes with its own challenges and trying something new is doubly so, but as the saying goes, with great risk comes great rewards.